Robin Williams is dead, and I don’t know what to say. What is there to say when something like this happens? Nothing will make it easier. Nothing will make it go away. Celebrity deaths are always stunning, but this one… this one left me numb and horrified, struggling to make sense of the situation. I never met Williams. I never had a chance meeting on the street or an interesting encounter at a Hollywood party. I wish I had, but I didn’t. But I do feel like I knew this zany, larger than life, warm man who shaped my life is so many ways through his art. I think most of us feel that way. When an actor graces the screen throughout your life in a positive way, it’s natural to feel a deep connection. And that connection only makes something like this harder to understand. All accounts from those who knew Williams say he was a kind, generous, fantastic person. I’m inclined to believe those things. If it’s true that actors leave a little bit of themselves in every role, then it’s probably no coincidence that Williams chose to play the parts he did. 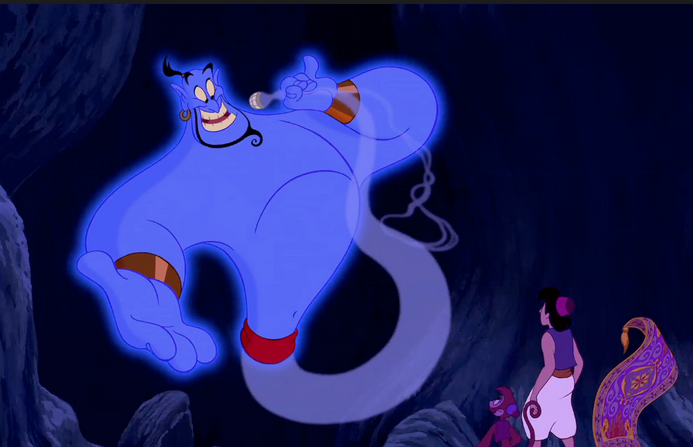 A teacher, a doctor, a mentor, a father, a friend, a genie. No matter what role Williams took on, he brought heart and real human emotion. He made every character important and genuine. With his twinkling eyes and bright smile, he made audiences connect. Williams was a riotously funny comedian who could also tackle a dramatic role with as much or more skill and ease. He was a tremendous talent. Williams’ death is particularly difficult to grasp because of its cause. Suicide is not an easy thing to deal with or understand. Depression is not a choice. It’s a disease: a horrible, evil, ugly disease that takes the light out of everything in life and makes even getting out of bed feel impossible. Depression doesn’t care how successful you are or how many fans you have. It doesn’t care if you’re a hilarious, clever comedian. It can strike anyone, at any time. I won’t pretend to understand even a fraction of what Williams must have been going through. I don’t know his pain or his demons, but I know that what he did wasn’t cowardly or selfish, and we must remember that and do our best not to condemn anyone who succumbs to this terrible disease. “World’s Greatest Dad” is my go-to favorite film ever. It’s a dark comedy that deals with death, posthumous celebrity and suicide. It’s a quirky, strange movie that would never have worked without Williams’ brilliant performance, but it’s going to hurt like hell to watch now. I don’t know how long it’ll be before I put that DVD on again. 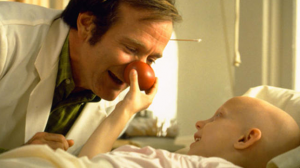 For now, I think I’ll watch “Good Will Hunting,” “Patch Adams,” “Dead Poets Society,” “Good Morning, Vietnam” or “The Fisher King.” Films where Williams played characters who fought the darkness, characters who struggled and hurt and made life better for the people that they touched. Or maybe I’ll put on “Aladdin,” “Jumanji,” “Flubber” or “Mrs. 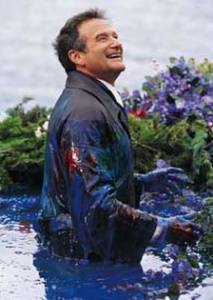 Doubtfire.” Films that shaped my childhood and can always bring me back to happier, lighter times in my life. This remains the one thing that I know for sure right now: Williams made life better. He made people smile, and in this harsh world, that’s often the most important thing. We owe Williams a lot. We owe him laughter and fun. Inspiration and wisdom. We owe him movies that made us feel and think and smile, and movies that made us cry. 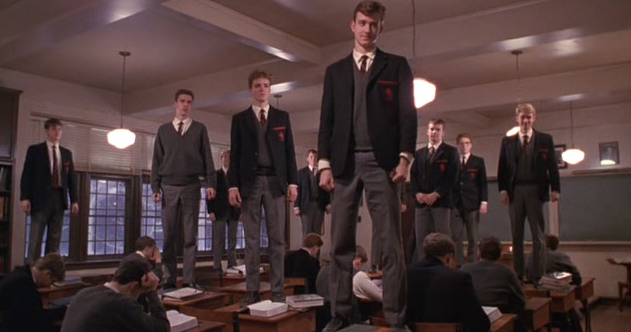 O Captain, my captain, thank you. 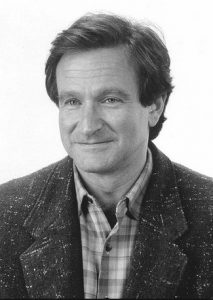 Without Robin Williams, this world feels a little darker. May he rest in peace and live on through the many lives he touched. I only knew him through the screen, but god, will I miss him. Love this. So well said. I completely agree. You don’t necessarily have to know someone for them to touch your life and be important to you. You have said this so beautifully. “Celebrity deaths are always stunning, but this one… this one left me numb and horrified, struggling to make sense of the situation.” Is what I have been trying to express to my husband. Thank you for helping someone find the words. I truly have never mourned the death of an artist so deeply. I’m guessing so many like myself and you , just realize what an impact Mr. Williams had on all of us. Thank you again for writing the words.